I really liked this year’s Christmas stamps. The cheaper stamp is a lovely triangle shaped Christmas tree stamp and the first class stamp is a beautiful candle lantern stamp. I really love the deep, dark colors of it. A lot. That’s why I bought a bunch of the stamps. Too bad I already spent most of them on postcards I sent today, haha. I can always get some more, though! 🙂 Also, the cancellation is extremely pretty on this FDC. 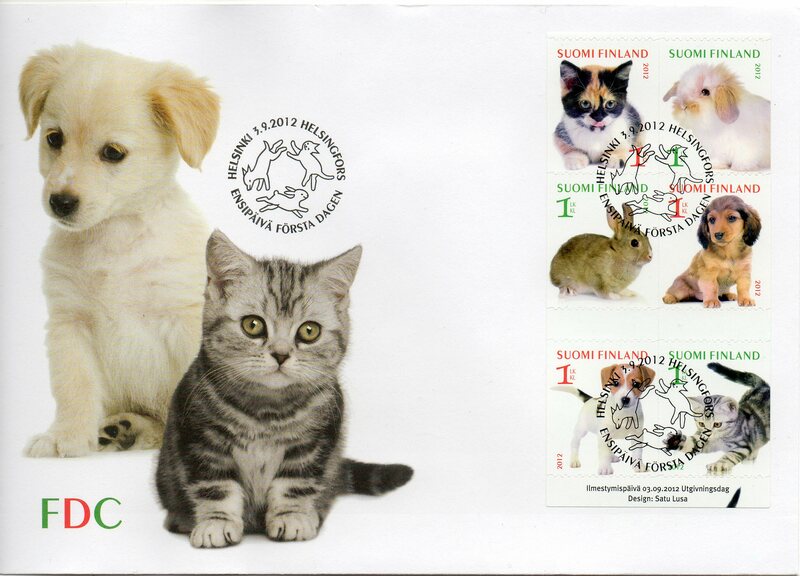 Finland really likes to publish stamps of cute, cute animal babies! So here are the newest baby animal stamps we have. So cute! With the advent of the Internet and a greater ease and speed of use in technology, it has become nearly effortless for anyone with the slightest technological prowess to produce personalised and tailor-made items, within a matter of minutes. Before the computer age, you would either have had to pay a lot of money to get something made especially for you or a loved one or go the free route and make good skilled use of a sharp instrument or pen. Either way, for the ordinary consumer, personalisation was a limited affair. My Favorite 2012 Issue. What Is Yours? The completion of the Palace of the Republic in April 1976 marked the end of the largest prestige project in GDR history. The building costs were officially 485 million East Marks, though internal figures presented to the Minister of Construction increased the sum to 800 million. Other sources have put the total price tag closer to 1 billion Marks. Regardless of this, the money spent was considerable for a country the size of the GDR and the project had significant impact on the country’s finances. Its prioritization also created significant resentment in the “provinces” as many resources (incl. materials and construction crews) were redirected to the capital to ensure this job was completed on time. My friend Patrick and I used to collect stamps when we were young. He gave me the stamp shown on the left. Based on what I’ve seen on the website The Philippine Philatelist, it seems to be a Philippine stamp issued during the reign of Alfonso XIII, King of Spain from 1886 to 1931, when the Philippines was a Spanish colony. I’m trying to identify it. Four candidates are shown below (from left to right): a 2 centavos violet issued February 1, 1892, a 2 centavos dark brown issued January 1, 1894, a 2 centavos ultramarine issued January 1, 1896, and a 2 centavos gray brown issued January 1, 1896. (Click on the pictures to see where I got them.) I think my stamp is a violet one. We have a Post & Go machine! We are delighted have a fully functioning Royal Mail Post & Go machine in our Archive Search Room foyer from today. After installation and testing last Friday the machine is now operational and available to visitors. This makes the BPMA the first place to get a permanent Royal Mail Hytech Post & Go machine outside an exhibition environment. Post & Go machines produce self-adhesive stamps on demand and are usually located in Post Office branches. Post & Go stamps are proving to be very popular with collectors and we are expecting long queues in our Search Room foyer today. Our Post & Go machine holds two different stamp designs, which will be changed 3-4 times a year. 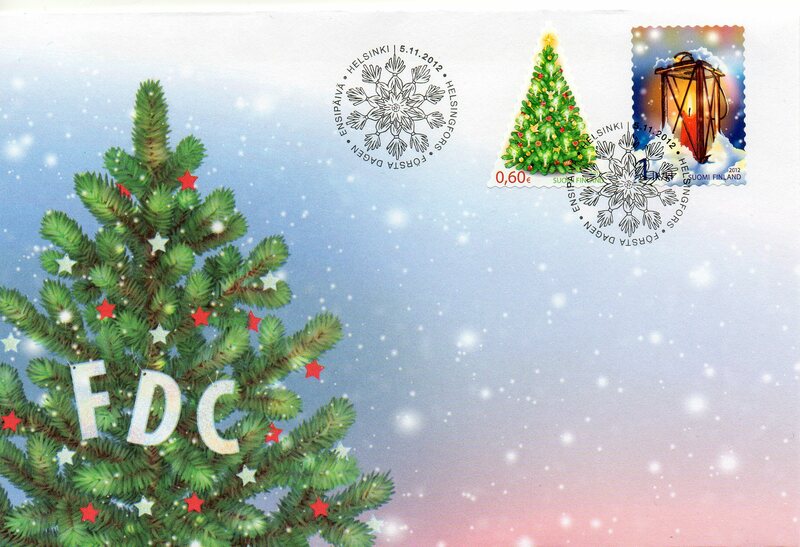 The first stamps will be the special Christmas Robin and the standard Machin designs. A unique overprint has been especially designed for the BPMA machine, reading “The B.P.M.A.”. I collected stamps when I was a child and as a result I have a lot of mint Philippine stamps from the late 1980s. These include blocks, imperforates, and souvenir sheets. Of special interest is the pair of stamps shown above. It seems that they have Scott number 1919 and were issued on February 25, 1988. But the one at the bottom seems to be a design error as it has the incorrect date 1938. Note that the stamp at the bottom has slightly different colors, messier perforations, and blurrier printing. If you have any information about this stamp, please leave a comment. Thanks. 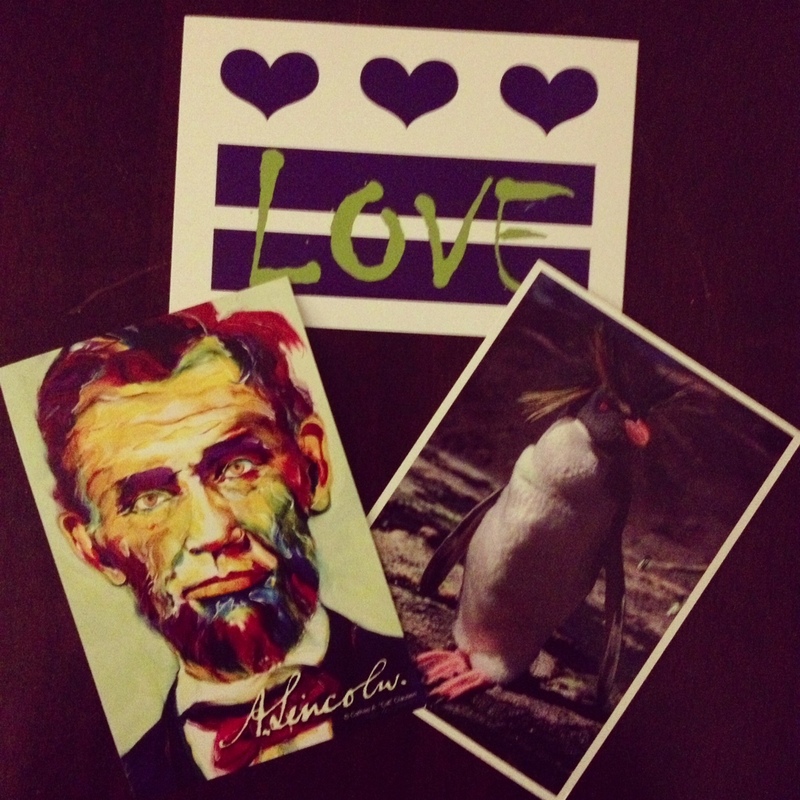 Do You Know About Postcrossing? If you’re at all tuned in to the stamp-loving and letter-writing communities across the web, chances are you’ve heard of Postcrossing. Launched in 2005 by people who delight in checking the mailbox (not the inbox) every day, this postal-based project connects people from all over the world through the exchange of postcards. The premise is simple: Create a profile, request an address to which you’d like to mail a postcard, send it, and wait for one to come to you, all for (almost) free—you do have to pay for postage! (For the visually-minded, this video demonstrates the process, set to philatelic music.) The best part is, you never know what you’re going to find in your mailbox. Apollo 12 was the sixth manned flight in the United States Apollo program and the second mission to land on the Moon. It was launched on November 14, 1969 from the Kennedy Space Center, Florida known as Cape Canaveral four months after Apollo 11. Mission commander Charles “Pete” Conrad and Lunar Module Pilot Alan L. Bean performed just over one day and seven hours of lunar surface activity while Command Module Pilot Richard F. Gordon remained in lunar orbit waiting for the other guys to come back. At the risk of sounding like Ray Liotta at the start of Goodfellas, as far back as I can remember I’ve been a history buff. When I was four or five years old, my parents gave me small action figures and toy soldiers from a variety of historical eras, and (when I wasn’t playing with them) I used to spend hours looking them up in the family encyclopedia and reading about them. History was always my favorite school subject; many of my elective courses were history classes. Much later I spent a couple of years working as a historian. This blog allows me to share some of my favorite interests: writing, gaming, movies, comics, and (on a good day) I get to throw a little history into the mix. Today’s a good day.